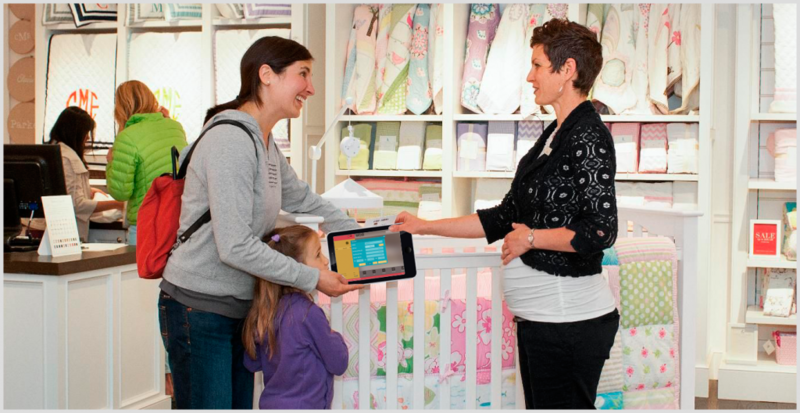 How next generation Retail POS benefits your business? VIENNA Advantage > Business Hacks > How next generation Retail POS benefits your business? If you run a retail business than you are most probably well aware of the need for a good Retail POS solution. The definition of today’s good Retail POS system is not just processing customer purchases, handling payments and recording sales quickly. A good Retail POS Solution should let you do much more having in mind all the new and available technologies today. Being able to manage inventory and customers, track sales, empower staff, identify and award regular customers and get the pricing right are a few of the things a good Retail POS system should do. In the conventional retail business model, customers bring the things they want to buy to a checkout counter to pay. But with the popularity of the tablets and smartphones today, this model is changing. The next generation Retail POS provides mobility to your staff in a way that they can take the mobile device to your customers, and accept orders anywhere in or out of your store. This means you can rearrange your store so it’s more attractive to your customers, instead of having to design it around a fixed checkout counter. Researches indicate that customers are more likely to make assisted purchases on the spot, rather than pick up an item by themselves and carry it to the checkout. By removing that psychological barrier to purchase, you’re likely to increase your sales. With mobile POS Solution such as VIENNA Advantage POS, your staff no longer have to wait for buyers to come to them – they can approach customers anywhere in the store and directly help them make their buying decisions. Ability to offer different versions of your products, such as multiple sizes, colors, materials, expiry dates and more. The more informed are your employees about the range of products your business offers, the easier and more fulfilling their jobs will be. The next generation Retail POS provides in-depth information about the products, with useful references to related items, cross-selling and up-selling suggestions and sales tips. All this will help your employees do their jobs better, and will have a positive impact on the sales. The next generation Retail POS should enable you to create more profound relationship with your customers. It should help you learn more about your customers and their shopping habits. This can be achieved by integration with a CRM – Customer Relationship Management App. Vienna Advantage POS Solution is easily integrated with VIENNA Advantage CRM and ERP Solution. Additionally, customers’ order history should be referenced or tracked – no matter where the order was placed – in-store or online. Furthermore, it should not only provide the ability to create customer loyalty programs, but also it should allow you to collect email addresses at checkout to notify your customers of upcoming sales or new products with email marketing apps. The secret of success is having the right information in the right time. With next generation Retail POS solution like VIENNA Advantage you will be able to set and track unlimited number of KPI and create customized reports. Analyze and gain insight into your store’s growth by seeing which products are selling — and which ones aren’t, or track and analyze sales by staff members, location, time period, or customers. There are many ways your retail business could benefit from the latest generation of Retail POS systems, especially when integrated with strong Material Management and CRM software all together deployed on private or securely shared cloud. A cloud-based and web-based POS Solution is thought to be more flexible because you can access your data from wherever you are. Moreover, your sales, inventory and product data is updated every second so you do not need to worry about synchronization at all. Next, a modern cloud-based POS will provide automatic and instant upgrades. In this way your can keep your retail business on top of the new technologies. With a cloud solution, you pay a monthly subscription and all the upkeep, development, and keeping the system on the cutting edge is maintained in the cloud by the provider. No more expensive, time consuming upgrades. In the end, there are numerous POS providers, but the key to selecting the right Retail POS Solution for your business is searching for the above mentioned features, talking to some customers who are on the POS system that you are reviewing, and then making the decision. How to choose the right ERP solution for Training Institutes?